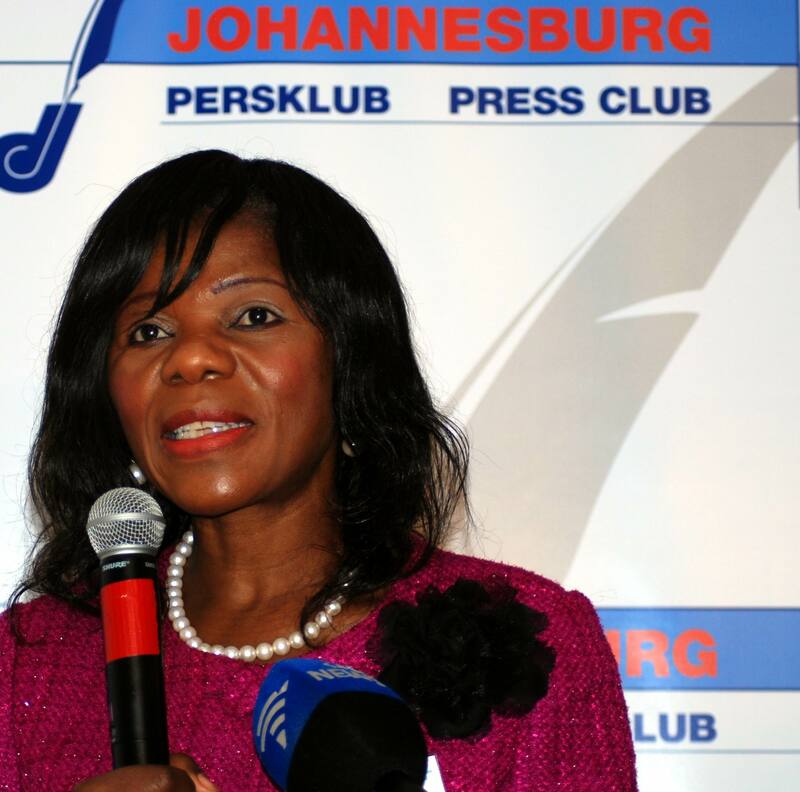 Thuli Masondela was awarded the Johannesburg Press Club Newsmaker of the Year Award today. It was not based on how many column inches she received in the press, it was a combination of media space and the way she and her team conduct themselves in their media communications and relations that got them the trophy. Having read about her for some time and the tough cases her office takes on, I was expecting to meet and see a ‘tough woman’, someone with a booming voice, strong presence. Photo’s in the newspapers have shown her in what would appear to be full flight vocally – I was wrong, but not disappointed. This unassuming woman, appeared shy in front of the cameras and the audience. Softly spoken. Articulate. Well presented – a humble woman who felt honoured for having been awarded this Newsmaker trophy. She honoured her team, without whom she could not have performed her tasks of office. She spoke carefully and from depth. How wonderful to have a public figure with sensitivity and her feet on the ground. No airs and graces. Just a woman of substance, character and a no-nonsense approach to her job. Imagine if all our public official had such character and such ethics ? Previous WHO LET PREZ OBAMA DOWN ON GUN CONTROL? Next Our Greatest Statesman and Legacy of all Time Abused! I’m a great admirer of Thuli Masondela and have followed her closely since her profile in Destiny magazine last year. A much needed example of a public servant serving the country.